At the bottom end of Glencoe, a car journey down which in any weather partakes of both the sublime and the terrible, is an underdeveloped and underwhelming tourist attraction which goes by the name of Signal Rock. You reach it by a cleared pathway down and into the Forestry Commission planted woods a mile or so from the Tourist Information Centre. Surrounded as it is by trees grown much taller than it, Signal Rock affords no great outlook on what is one of the most spectacular landscapes in Europe. It is only by a wee, white pointy sign that it is singled out for your attention at all. An explanatory notice board tells you that the rock derives its current name from a legend, undoubtedly untrue, that it was from here that the signal was given to begin the massacre of the MacDonalds in the nearby village in 1692…the name probably came about in the 19th century, when, along with the rest of Scottish history, the Jacobite resistance to the Hanoverian Succession had been safely relegated beyond dangerous memory into picturesque and sentimental myth. The trees insensitively planted around it, as they were over much of Highland Scotland in the Twentieth Century, when the postwar needs of the Forestry Commission and the mass housing of the fifties and sixties trumped those of Celtic Romanticism, now render the place invisible, and lead to some scepticism that this was ever a vantage point from which to send a signal to commit tribal murder in the name of the Crown. The Gaelic name of the stone, by contrast, Tom a’ Ghrianain, or Hill of the Sun, suggests ancient sun worship…which, given that the trees weren’t there back then and the Glen faces East to the rising sun as well as West to the sea from which the Gaels arrived on this island, certainly seems more plausible. It is worth reflecting, however, that the idea that a bit of Scotland was once dedicated to Heathen Rites was unthinkable until recently, when the covenanted status of Scotland as the true home of God’s chosen people is a rather less persuasive self- identification than it used to be – even if we do retain a certain lofty smugness as a consoling (to us) and irritating (to everyone else) national characteristic. The different names and significances that history, including its most recent and ecologically sacramental version, has given to this hopefully “one day to be fully appreciated as really quite interesting” chunk of Highland Landscape can stand, I think, for the incoherencies and half -truths of the recent conduct of the Rising of 2014. There are layer upon layer of mutual incomprehension, miscalling, misspeaking and mishearing going on in this campaign that reveal sedimentary layers of dysfunction in the political geology of Great Britain. 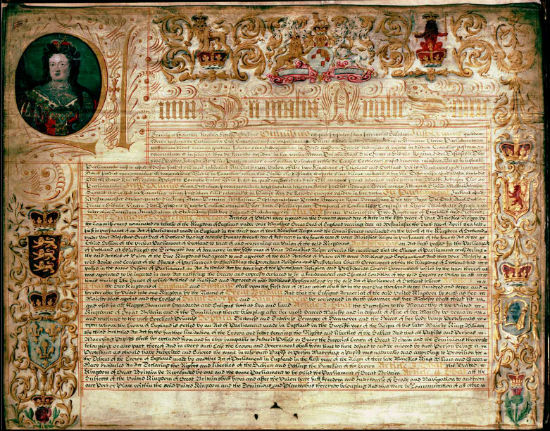 Going right back to when the Treaty of Union was signed in 1707, shabby little deal that it was, the same arrangements have carried utterly different meanings and levels of significance depending on who’s looking. From the beginning of the Union, the Scots have taken the details much more seriously. The English appear not really to have read the treaty when they signed it, if their actions in the immediate aftermath are any indication. Those Augustan Englishmen seem to have appended their names in much the same spirit of “Yeah, whatever” with which their successor, (and descendent of a Scottish signatory of the Treaty) David Cameron signed the Edinburgh Agreement on the referendum with Alec Salmond in 2012. Indeed, I would be surprised if many of my English readers are even aware that the two governments have agreed between them not just a legal basis for the referendum process but a promise of mutual respect for its result , and that in its aftermath, both sides have undertaken to do their best for the inhabitants of what would then be our two different countries. For the Scots, the treaty of Union is the founding document of the UK, while the UK effects to believe that our voting to end that treaty has no legal consequence. For Salmond, the Edinburgh agreement is an amendment to that quasi-constitution. For Cameron, such a thought would barely merit a puzzled blink. At every level, from day to day campaigning to the largest imaginable historical questions, this is a dialogue of the deaf. The day-to-day need for sign language lessons was recently exemplified for me by Patrick Wintour, one of the Guardian’s excellent team of lobby correspondents at Westminster, reporting that the Tories, aware of their unpopularity in Scotland, are relying on the “Labour Machine in Scotland to deliver their voters.” The idea that Labour politicians from Scotland are going around London giving the impression that they have anything like a machine left up here, let alone a cohort of tame voters at their disposal argues for a disconnect from reality that is either pathologically mendacious or just plain pathological. Indeed, while the Tories are right to think of themselves as politically toxic to Scotland’s political eco-system, it seems that none of the Westminster parties seem ready to acknowledge that this toxicity has decidedly spread. They have been deceived by the anti-Tory Labour vote that Scotland has delivered at every general election since the sixties into thinking that delivery is unconditional. The Labour Party has changed itself quite radically in order to remain viable as an electoral choice in the South of England outside London. But to follow through the logic that this accommodation to Tory England …. has led Labour to sharing some Tory toxicity in Scotland is apparently beyond their ken. Hence, they have not reported to their senior partners in the union that what was once a principled Labour vote has become tactical voting for UK elections only. Scottish elections, now as important culturally as are UK elections, are much more likely to go the SNP’s way, especially if we vote No in September. Who can protect us best from the Tories? is the question we ask ourselves. SNP in Edinburgh, Labour in London, has been the answer up to now. But a tactical vote is a changeable vote. The old certainties don’t apply any more. The status quo might be on the ballot paper in September. It is definitely not on the cards. Labour people here look at you blankly when you say this kind of thing , as if, as we say in Scotland, you had grown an extra head, but to all but the most myopic of sectarians, it’s perfectly obviously true. This is a source of sadness to most politically engaged people in Scotland, who still feel an emotional attachment to the movement of which the Labour party used to be the head. Nowadays, however, to get theatrical for a second, if it is the Labour Movement in Scotland that is the central character in the modern tragedy of “ The Union” , then we are already well into Act Five, no matter how unaware of his approaching doom the hero is. Of the specific events of the Referendum drama as it currently unfolds, the most important, indeed definitive event on the No side of the campaign, has been the speech given by the Chancellor, George Osborne in Edinburgh in March and the unanimous declaration by the senior finance spokesmen of all three main political parties in the United Kingdom that they would unequivocally in no way tolerate even a hint of the possibility of negotiation over sharing a currency union with some putative future independent Scottish state. Furthermore their refusal in principle to pre-negotiate the terms of this monstrous and unlikely secession from the greatest democracy the world has ever known is now predicated on the absolute pre-negotiation position that in no way would any future government of the remaining United Kingdom ever entertain the merest hint of any conversation on the subject. No way, not now, not never. 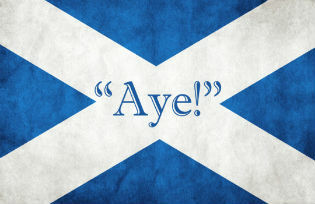 In this way, it has become clear that of all the uncertainties of the future arrangements on an Independent Scotland – about passports, about our becoming a base for Al Qaida, and our vulnerability to attack from space, all of which have had a mention – it is the nature of the Pound in your Pocket that Westminster has judged to be the most dramatically convincing uncertainty that the Union side can first create and then criticize the Yes side for. Sir Nicholas is Scottish, as is Danny Alexander, the senior Liberal Democrat economic spokesman and member of the coalition government. He is also close to Alistair Darling, also Scottish, the former chancellor and nominal leader of the No Campaign. It seems that George Osborne for the Government and Ed Balls for Her Majesty’s loyal opposition, simply signed off on the strategy, trusting to the collective Caledonian chutzpah of their colleagues. Trouble is, it was Darling, who, in January 2013 on the BBC’s Newsnight Scotland, was heard to opine that just such a currency Union as was later proposed in the SNP’s White Paper was obviously the most logical arrangement in the unlikely event of independence. Mr Darling may now be saying exactly the opposite, but no one thinks he has really changed his mind. Indeed it is unworthily speculated that it was almost certainly Alistair Darling himself, as a chief cog of the aforesaid Labour Scottish Machine, who came up with the strategy of absolute denial of the very currency arrangement that he had said was logical a year and half ago – that he has advised that the most logical arrangement be taken off the table precisely because it is the most logical, and because the SNP, as centre-left business-friendly pragmatists of exactly the same stripe as himself had predictably come to the same conclusion on the matter that he had. The Byzantine twists of the above may seem to bespeak a depthless cynicism, but I think rather that it is one more piece of evidence as to the distortions of the already entirely distinctive Scottish political psyche that outsiders in Westminster might find instructive. Clan warfare of the Campbell/MacDonald ilk seems to have has passed its venom into our politics, where Labour and SNP politicians who agree almost exactly on almost every policy have come to loathe each other so tribally that any public conversation about even trivial matters looks and sounds like a battlefield from which the civil servants have thankfully removed the weapons. The nearer we get to becoming an actual democratic polity, the more hysterical and pre-democratic the argument about it gets. The irony is that Currency Union is not even a universally agreed aim of the Yes campaign. Some Yessers (the most traditional nationalists, by and large) are very happy about the idea of a new or restored Scottish currency. Yet others are relaxed about using a Scottish pound informally and temporarily pegged to Sterling in the meantime, yet others with a quiet drift towards the hopefully by then …. recovered Euro Zone. While the principled core of the No vote, who wouldn’t vote for independence if it started raining banknotes of any denomination, (which is probably about 20% of the electorate), and the 35% who are irrevocably already committed to Yes no matter what, are, on the currency question, like on most questions of the crystal ball variety, relaxed and indifferent. 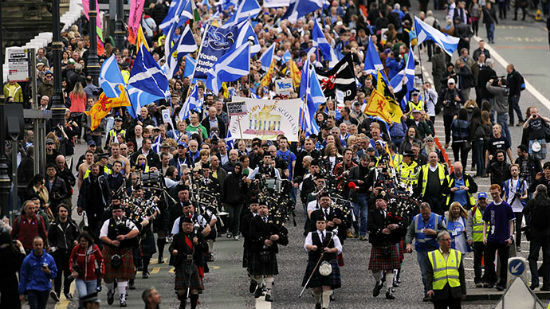 The Yes Scotland Campaign, though the SNP are of course dominant, is itself a rather loose and so far harmonious coalition of very diverse aspirations that maintains a generally rather woolly and tactically non-specific approach to the general and shared aim of political sovereignty. (The No campaign are rather more given to leaking and anonymous briefing against each other. ) We’ll work it out later, more or less defines the Yes campaign’s provocatively relaxed approach to answering the increasingly shrill and indignant demands for post-indy specifics put to them by the No campaign. It’s a question of appropriate trust in the wisdom and resources of Scotland and its people, they smile. Who Are the Maybe Nay Sayers? But the vote will not be decided by believers. Rather, it is the 45% chunk of Scottish opinion and character that has yet to be persuaded in principle either way who count for most, and while they probably lean to Yes sentimentally for the most part, they are vulnerable to the changing tides of optimism they find on the internet, and the non-stop despair they get almost everywhere else in the media. The Union will ultimately rely on No votes from those who are not opposed in principle to independence, but can be successfully frightened of its intrinsic uncertainties, and it is all very well for the Yes campaign to argue that difficulty and complexity are arguments for and not against democracy and self- government. The dominant paradigm of democratic politics is the marketplace of the spurious certainty, and that paradigm may or may not break in time for a Yes vote to gain the confident traction it will need. Positive support for the Union is concentrated around the anxieties of those with most to lose, those with pensions, property and investments and the careers of their off-spring in London to worry about, and the strategy on the currency was designed, as most of the strategies of the No Campaign have been, to work on those entirely understandable, if less than romantic, fears of personal and familial loss being the unacceptable price of democracy. The deep and historic irony of this is that the middle class in Scotland – the lawyers, the doctors, the clergy, the educators, as they were at the time of the Union – have always actually been in favour of independence from UK control. But only independence for themselves, not for their fellow Scots or Scotland as such . The terms of the Treaty of Union meant from the outset that the law, the kirk, the schools and Universities retained their functional distinctiveness and indeed, independence from the amalgamation of merely political power. The kirk provided universal schooling against the wiles of the Papacy, and the land owners kept owning the land, indeed kept hold of it with the help of the rather more stringently feudal character of still distinctive Scottish law. Between them, they fostered the growth of an argumentative, egalitarian and yet sheepishly unambitious bourgoisie. In the 19th century, this middle class was added to by the bureaucratic, mercantile and military employment prospects of the Empire and it’s civil service, so eagerly sought and filled by Scottish lads o pairts – Scots at less than a tenth of the population of the UK provided fully a third of the colonial bureaucracy. In the twentieth century, the secretariat of the welfare state, local government, nationalized industry and industrial scale education was a similar pool of opportunity for the advancement of a new clean-collared echelon of Scottish Labour. 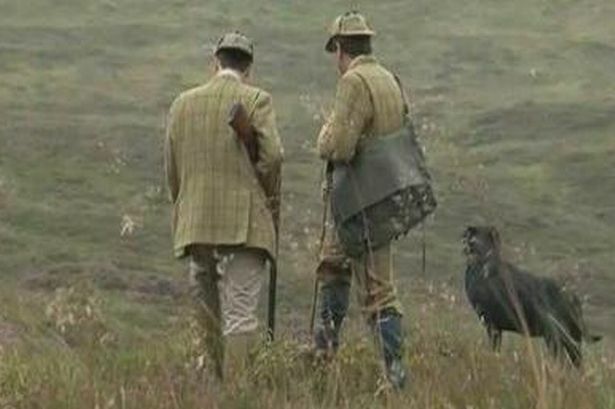 Thus evolved a single unelected and anti-nationalist national hegemony within an unsupervised outpost of a British state that granted functional independence to this succession of Scottish elites, who could thus remain aloof from democratic oversight both from Westminster, which didn’t care that much, and, more importantly, from an electorate in Scotland which didn’t count for anything. This was the fiefdom from which first the Scottish Unionists and then Labour drew their “deliverable” vote, and while the Protestant Ascendancy, then the welfare state and mass employment and housing lasted, they did indeed deliver a passive, un-consulted, barely visible and slavishly reliable electoral base. That this political base began to disintegrate, along with the collective provision and mass employment on which it was founded, was an obvious sequel, and it seems curious that Labour, for example, should have been taken so much by surprise when their bondsman sought alternative representations in the SNP and the Green party in recent times. But they were. Even having lost two elections in a row they barely seem to credit it and act as if some terrible mistake will soon be corrected and everything will return to normal. Scotland has been governed by a series of local elites with power derived from subservience to the bigger, wider, British elite who they have never minded not electing because they’re not elected themselves. They know, our local hegemons, that independence from London rule is a good thing. It always has been for them – in education, health, the law, and the kirk . That’s how they know it is too good for the rest of us. It is their pre-democratic sphere of privilege, safe from London because un-regarded by London, that is seriously threatened. This is why from the Scottish Law Society to the BBC and CBI as well as Labour dominated local government, the powers that be in Scotland are in the No camp. Devolution has already exposed them and made them vulnerable and scrutinized in way they’re not used to, and they fear that independence might finish them. In short, it’s not so much independence they’re afraid of as democracy. They think democracy might sink the ship. There is something rather primitive at the base of our democratic under-development. The Scottish Middle Class, which includes the Labour-voting, publically employed middle class, tends to support the Union because they don’t ultimately trust the people in the next street. Even before the leak from what the Guardian’s Nicholas Watt called a senior UK minister that, after all, if the unthinkable should actually happen on September 18th, on September 19th everything would have to be on the table to be talked about, it seemed that what had appeared to be the rather weak response of Alec Salmond to the Westminster Currency Dictat – that the Unionists were lying and that of course there would be negotiations – was bland and complacent even for him. But it turned out, against all preconceived political precedent and wisdom, to have been exactly the correct response. He said Westminster was probably bluffing and according to opinion polls, 45% of voters in Scotland believed that they probably were. (This was the poll that prompted the intervention from the now never-to-be- named UK government source). Worse, perhaps, the strategy that had rather flopped in Scotland struck a strong political chord in England, whose impatience with the chippy and perpetually complaining Scotch is now reaching the status of an actual, live political issue. However desirable in pragmatic terms a currency union may once have been, as Mr Darling testified in another life, it has been made into a political impossibility not north, but South of the border. That the same government pronouncement on this issue should meet with two entirely different and indeed opposite political responses on different sides of a border should not be in and of itself surprising. But when it is the significance or otherwise of that border that is precisely the issue, this divergence matters rather more. The whole feel and character, let alone discourse and understanding of British and Scottish politics do seem to be differentiating to the point of mutual incomprehension. It may be that a Yes vote in September is merely a recognition that the Union is already dysfunctional, that on many if not most important levels, “separation” is already a fact. This is actually becoming more and more difficult for the Unionists to argue against. They seem to be the ones with their finger in the dyke when there’s a storm coming. To give a recent example, the week after UK Labour leader Ed Milliband appeared at the Annual Scottish Labour Party Conference in March to argue that a vote to keep the Union was a vote for social justice, with no sense of irony at all, the very next week he led the UK Labour Party in the Westminster parliament, including its loyal Scottish members, into the voting lobby of the Commons to vote with the Tories for a legal and permanent cap on welfare spending. From the perspective of the Westminster village, to vote this way was for Labour a genuinely wizard wheeze to neutralise Tory attacks on them as being soft on welfare, the party for the scroungers. Given that the vote received next to no coverage next day in the national press, they could congratulate themselves on a political bullet well dodged. However, from another point of view, from the perhaps equally parochial village perspective of the old British left, the Labour party voting with the Tories to enshrine the principle that the transient needs of capital outweigh the historic obligation of a state towards the welfare of everyone who lives there was a catastrophic and terminal betrayal of everything that the post-war consensus of British-ness had supposedly stood for. It was, in effect, the coup de grace delivered to the already bloodied and dying remnants of British Socialism, and the fact that the execution was both casually done and self-congratulatory surely dramatizes the distance that the party of Clement Atlee has travelled since 1945, or indeed from 1979. And if it was that post-war social consensus that they felt they could so casually disregard in order to avoid unfriendly headlines in the Daily Mail, then that consensus was also the glue that held the post-imperial political Union of Scotland and the UK together. You’d have thought they might have noticed that they were putting that too out of its misery. The British social revolution of 1945 – which gave us the National Health Service and the principle of universality and universal provision for the vulnerable as the centrepiece of the welfare and taxation system devised by the Liberal William Beveridge and the Welsh socialist Aneurin Bevan, among others, was the foundation of the social contract of British self-identification as “all being in this together”. It was itself the product of the collective experiences of the depression and of the war. That was the Britain I grew up in. And surely everyone can see it isn’t there anymore. Surely everyone can see that the Britain which Scotland has been asked to remain part of no longer exists. This is the political substance behind the very widespread feeling here in Scotland that we are not so much leaving as we have already been left. And the fact that this feeling seems beyond the comprehension or empathy of the political party that made that now-broken consensus is itself an argument that the fellowship which one might expect to be the chief appeal of the case for the Union is hollow and unconvincing. Unsurprisingly, the Togetherness argument is only intermittently employed, usually with embarrassing results, and is almost invariably immediately dropped in favour of more promised catastrophe, and more veiled threats that if we dare to vote Yes, then our lives will be made “difficult”. As I write, then, the No campaign have lost the argument and lost the campaign quite decisively. But they may well still win the vote. All the uncertainty peddling still seems, despite everything, to be commanding a lead in the polls and successfully pandering to a streak of self-dislike and self-doubt in us that may be understandable, but is less than encouraging whatever your view of the question at hand. And while negative strategy may well secure the No vote that is being sought, does it not need to be asked, on the Union side, what kind of relationship is it whose only maintenance is in planting fear and insecurity in one of the “partners”? Is winning at the vote really worth the price we’ll pay afterwards if we feel ourselves to have succumbed to the unworthy, fallen angels of our nature? I venture to suggest that such a “Union” is not going to be happy nor stable nor, in the long term, tenable. And that unintended consequence of a negative campaign to keep the Union together is to demonstrate its essential brokenness so clearly that everyone can surely see its dissolution in the near future. Questions are clearly now emerging into general consciousness that undermine the Union on a much more fundamental level than even the binary pig in a poke we’re being offered in September. Is sovereignty in Scotland currently on loan to the UK, or in the permanent gift of the UK? Conversely, can a UK government ever be legitimate in Scotland once you consider Scotland to be a political unit? Whether we vote end up voting Yes or No, we are going to have local problems in our political atmosphere. It is clear that politics in Scotland has been defined and distorted by the constitutional question, as politics in the six counties of Northern Ireland has been since 1921. The border, once it is in question, becomes THE question. From the moment that for very first time in history the Scottish electorate were ever addressed as such, as a distinct democratic polity, (in 1979 and the first devolution referendum), the border has indeed been in question, and as in Northern Ireland, we have divided, more or less, into those who seek to see nothing but the constitutional question and those who seek to suggest that the constitutional question is itself nothing. To one side of the debate, every question of culture and society, economy and identity, is viewed through the prism of self-government, contingent on the promise of autonomy. To the other side, any attention at all to these questions is a grudging concession and an obscene irrelevance, a self-interested distraction from exactly the same questions of inequality and our appalling health record, to name but two. And given these diametrically opposed perspectives, proper democratic dialogue is impossible. This is to put the mutual loathing of the SNP and Labour clans at its most reasonable and principled seeming. At its most distressing, however, our parliamentary procedure, at least at the weekly set-piece of First Minister’s questions, it manifests itself as a screeching, mocking parody of debate or a children’s game of “Geez ma Baw back.” Little wonder Westminster hesitates to intervene. And now with the referendum looming, each side is acting as if the other side will simply agree to cease to exist if and when they lose. 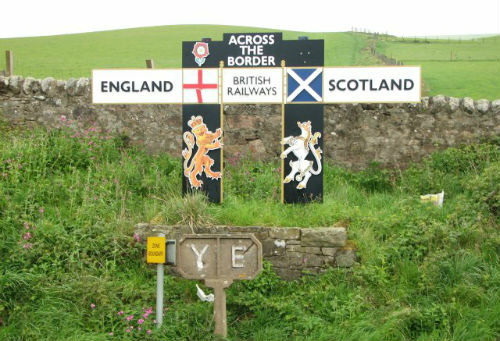 Both Labour and the SNP confidently anticipate that the other will disintegrate if we go for Yes or No, but this is surely no more the case than that Scotland will either be physically sundered from or entirely absorbed into the land mass of England. As a Yes supporter, I believe that our politics can only find a cure from its tribalism when the political sovereignty of the Scottish people ceases being a conditional loan from London of circumscribed but unaccountable hegemony. I believe that once the sovereignty of the people as iterated in the Claim of Right in 1989 is taken seriously, then the argument is over between the UK and Scotland, and that the argument within Scotland will take on a new and less tribal resonance. Political independence, however negotiated and defined, is itself contingent and limited by interaction with the world, and demands discussions of a different order. For me, the No campaign promises more of the same of what is worst and most corrupt in politics on both sides of the border. It is a case only for hiding from responsibility for ourselves, and for abstaining from the world, for accepting that it is much better and safer to disappear, to re-submerge all but the most superficial signs of our identity within the broader British world presence as an offshore adjunct of international capitalism and of American military global reach. No voters, friends of mine, tell me that a No vote is simply the pragmatic choice in this post-democratic age, and that to abandon the aspiration to collective independence can do no harm to our self-esteem as individuals. After all this is over, they say, we can get back to normal business. After all, some of us are doing fine. Some of us are doing very well. The core injunction for the No vote does seem to be “Don’t rock the Boat”, which may make sense on the First Class Deck, but it also argues for a profoundly pessimistic outlook if that side really believes that what we have now is the best we can possibly do with ourselves. I remember coming into adulthood in the 1980s, in a country where it felt like the future was all behind it, and whose failure to secure even the measure of autonomy offered it in 1979 left it wide open to a devastating assault on its industrial and employment base , and to a widening and deepening of already abysmal divisions in wealth and health from which it has never recovered, and which redefined its culture as a resistance movement. How Does It Feel to Hope? It was only because they thought a No vote was in the bag, that the powers that be not just permitted, but wanted this referendum to happen, more even than Alec Salmond. And that by taking incremental change off the table and pushing us into a crude binary choice this September – they were offering us a chance for change that they were dead sure we wouldn’t take. Thus, the referendum was proffered as a hedge AGAINST democracy, not a concession to it. The power elite wanted, if they could, to deny us all change, or control the change undemocratically if change there has to be. But what has happened is that the Yes campaign has revealed and unleashed and added depth and nuance to the desire for change, and created an articulate, popular movement for it. This may or may not result in a cumulative, collective celebration of the restoration of popular choice as a factor in modern politics on Sept 19th. The thinking that prompted “giving” us the democratic choice for fifteen hours on Sept 18th was designed not to stop Independence – Independence doesn’t worry them per se – it is democracy that is the problem that needs to be squashed, and this anti-democratic impulse is every bit as much embodied in the Elite in Scotland as it is in the Elite down by the great money river. 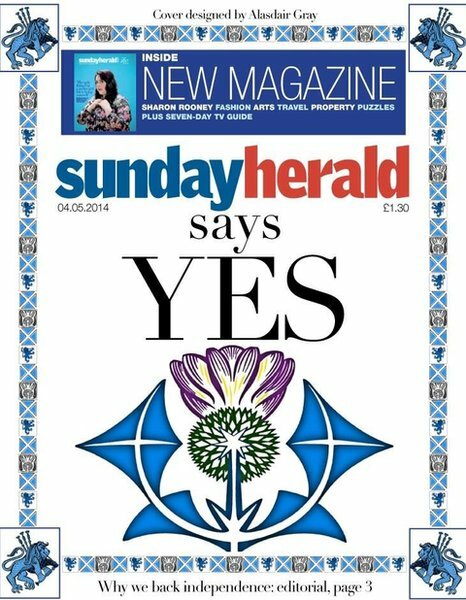 At the age of 52 I have never known civil society of Scotland to feel as positive, hopeful, inventive and frankly un-Scottish as it does at this moment. Not only is the campaign more or less free of the bogus fripperies of 19th and 20th Century Scottish identity from the black-and-white kitsch of my Scottish television childhood, it is also free of the accompanying gloom of the Calvinist forest of the Caledonian soul. A lot of this unaccustomed optimistic activism is happening in the virtual world – it is online and but it is also in meetings both formal and informal that seem to be happening everywhere – from snatched conversations with strangers on the CalMac ferry to Mull, from Lourdes Primary school packed to the gunnels, to Facebook and Twitter. Douglas Dunn, the poet, used to say that the greatest achievement of renewed democracy in Scotland would be if his first year Scottish undergraduates could summon the self-confidence to ask him questions. Now it seems that nobody is shutting up. We are messaging each other across computer interfaces as if there were such a place as tomorrow, and as if we might have some influence on what tomorrow looks like. 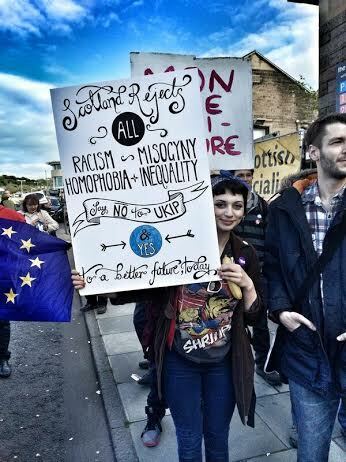 In my lifetime, I have never known so many Scots to be as politically engaged. By contrast, it seems that the only case for the Union is silence. The only mood music is despair, and that if No wins, after all this, having lost the argument of hope, then the morning of September the 19th is scarcely worth contemplating without an arm full of heroin. It would feel like death had won and life had lost. This summer we should celebrate all the more, then, that we seem, thanks to the work of activists everywhere, in localities and in the global forum of the web, to have stolen the ball off them for a minute. That is worth reflecting on and treasuring in itself. Even before we get to planning the party if (hold your breath) we actually win. And allow ourselves to ….. hope that Scotland really might offer the world a model of a social-democratic, nuclear free, inclusive and equitable future. Why do you think they are trying so hard to stop us? The battle of Bannockburn in 1314 did not, in itself, after all, guarantee Scotland’s sovereignty in the 14th century. It did succeed in making Scotland ungovernable from London except by overwhelming force. I suspect that the referendum, whether with Yes or No majority, especially if the answer is close, will accomplish roughly the same. Bannockburn meant that Scotland’s self-rule was no longer within England’s gift. But it was not until 1328 that Scotland’s right to self-rule was recognised by the then government of England – in the Treaty of Northampton and Edinburgh. They were about to start the Hundred Years War with France and needed a friendly, or at least quiet, Scotland next door. You can see why the parallels occur to me. My prediction is that it is having the vote at all that renders us ungovernable and the Union settlement untenable. Win or lose, this is our Bannockburn. As Jim Sillars puts it, for 15 hours on the 18th of September in 2014, for the very first time in history, the people who live in Scotland will be sovereign as a matter of legal and psychological fact. And while it is quite possible that the relentless barrage of veiled threats and our own skewered self-belief will persuade us to hand our sovereignty back – and that decision will feel like a wholly negative one, a humiliating climb-down, a national failure of nerve that will feel, even to the vast majority of convinced no voters, like failure, it will nonetheless be our decision. Our sovereignty will still be ours, our independence still in our own gift. Surely there is no one in Westminster or even in the Scottish Labour Party who imagines otherwise. The transfer of psychological sovereignty will be permanent, even if, on this occasion, we may decline it. The genie will not go back in the bottle. A No vote, too, if it happens, will be no happy embrace of the spurious community of national families that good cop David Cameron ludicrously and insincerely evokes while bad cop Osborne quite sincerely threatens retribution. It is quite clear (on both sides the Tweed) that these men and all their tribe are in the thrall of a transnational movement to liberate the rich from all care for anyone else. And it will only become clearer and clearer over time that the only protection any community can have against that untaxable hegemony of those above the law is some form of sustainable, democratic collective political identity. The UK, in the view of many of us, whatever else it is, is hardly that protective and inclusive community. Surely there is nobody even in deepest Surrey who believes anything like that anymore. Scotland, whatever its flaws and possible weakness and vulnerabilities, just might be. Whatever else happens, then, a fundamental shift of sovereignty is under way in Scotland. It has a more cheerful face these days, and is made for the first time in my lifetime, of what feels like effective dreaming – of rich imagination and a real sense of possibility. All my ingrained cultural pessimism may be misguided. We may just do it. And do it this time against all expectations. The breakup of what Tom Nairn called Ukania has been coming for a very long time. What is new to me is the feeling that at least a substantial minority of the people who live here in Scotland are living in something as Un-Scottish as hope, and that the very living core of that hope is a sense of self-governing, self-ruling, being sovereign over ourselves – not in some 19th Century costume drama way, but as modern, individual world citizens of every imaginable nest of complex identities – of gender and ethnicity – only one of which is the chosen pooled identity as civic Scots. We are becoming sovereign over ourselves as individuals and can choose, if we wish, on the 18th of September, in those hours of political self-rule, to pool that sovereignty into a new identity with which to live in the real world. Whatever offers are made by the Westminster parties, they cannot offer us anything like that excitement, anything like that choice, anything like that protection. Sovereignty is something we can only create ourselves. And we are already creating it, it is everywhere, all around us. The referendum campaign, whatever its result will be, is only accelerating that irreversible tectonic shift. The UK as we have known it is exhausted and out of time. That is the reality with which everyone on these islands will shortly have to deal. But remembering that I’m Scottish, I temperamentally have to anticipate a No vote in 2014, and point out that Bruce may have managed to repel an invasion, but he did not guarantee sovereignty at Bannockburn in 1314; to remind myself that it took until 1328 for the question to be settled in favour of there being two political sovereignties on the island of Great Britain. And then again, even 18 months ago, 2028 was an outside bet. Now I’d put my shirt on it. Peter Arnott was born in Glasgow in 1962. He is a playwright who has worked internationally as well as in Scotland. He was the Writer in Residence at the National Library of Scotland from 2008-2011 and is the winner of numerous awards. He is currently working with the National Theatre of Scotland on a number of projects, as well as having shows forthcoming at the Belgrade Theatre, Coventry, Mull Theatre and the Edinburgh Festival Fringe.